Constructed after an architectural competition in 1852, that was won by William Atkins with a premium also awards to Richard Brash. 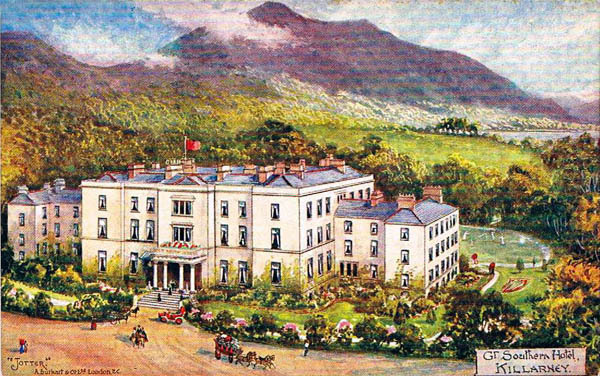 The railway line to Killarney from Dublin was about to be completed and the Great Southern and Western Railway Company decided to build a “Grand Hotel” outside of Dublin, and after considering many locations, they chose this site in Killarney. 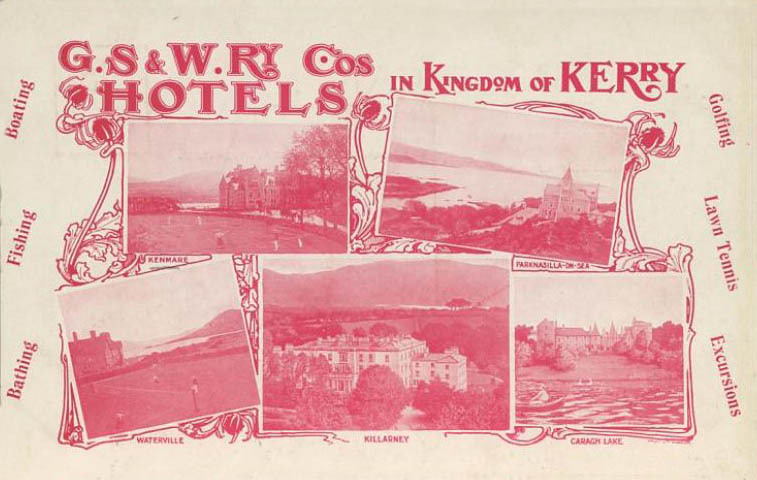 Considered to be one of the first hotels owned by a railway company in the British Isles. The commission however went to Frederick Darley, whose design ended up costing more than three times the amount laid out in the competition. Later extended by Carroll & Batchelor. The hotel is in the style of a grand country house of the period. Now known as the Malton Hotel.